You are here: Home / Latest News / SOLD! FREEHOLD INVESTMENT IN CROWN STREET, BRENTWOOD. SOLD! FREEHOLD INVESTMENT IN CROWN STREET, BRENTWOOD. Acting on behalf of a private client, Kemsley LLP are pleased to advise that we have completed the sale of 14/16 Crown Street, Brentwood. 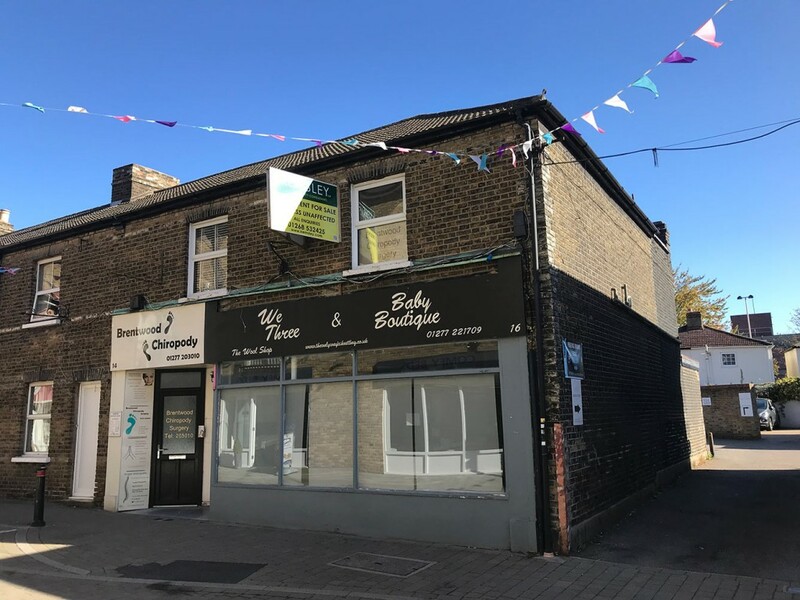 The property comprised of an end terrace two-storey building laid out to provide a ground floor retail area with Kitchen & WC (with vacant posession). The self contained first floor was occupied by a chiropodist on a long term lease. The property will now undergo an extensive refurbishment program. The ground floor retail space will be coming to the market for rent later this year, as a whole or split. Previous Article SOLD! 5,800 SQ FT UNIT AT HERONSGATE TRADING ESTATE ON BEHALF OF BARNARDOS!